The main objective of developing a new grenade launcher in the early 1990s consisted in reducing its weight considerably. 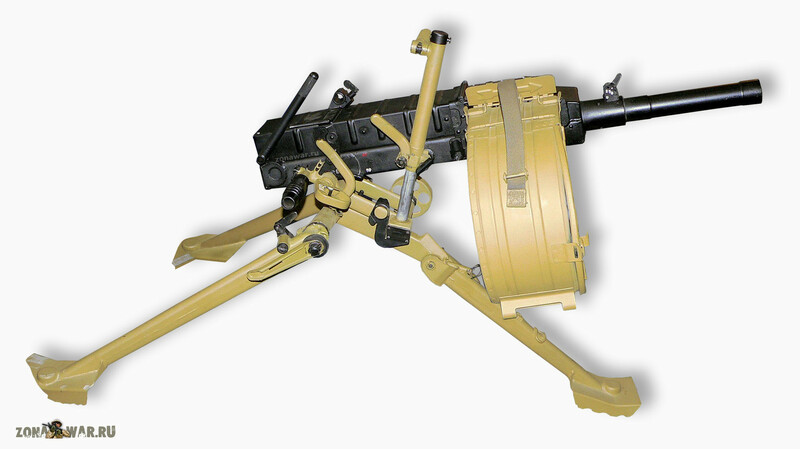 As compared with other similar weapons, the AGS-30 automatic grenade launcher features a record-breaking low weight of 17.5 kg (the grenade launcher, mounted on a tripod and fitted with a sight). The new automatic grenade launcher was developed by one of the most prominent contemporary arms designers V. P. Gryazev from the Tula-based Instrument Design Bureau. The AGS-30 fires 30 mm VOG-17M, VOG-30, and GPD-30 fragmentation grenades. Ammunition feed is from a 29-round metal bell stored in an ammunition box attached to the right side of the receiver (ammunition belts and boxes are totally standardised with those of the AGS-17 automatic grenade launcher). The AGS-30 kills enemy manpower and thin-skin weapon systems in the open and behind various covers (open foxholes of trenches, reverse slopes, ravines etc). The AGS-30 is blowback-operated. It fires from the rear sear, when the bolt recovers. The bolt recoil is completely damped by the return spring, thus, the automatic grenade launcher is a recoilless weapon. This design solution has allowed designers to significantly cut down the weight, while maintaining a high accuracy of fire. The trigger assembly provides for automatic fire only. The AGS-30 features a simple design and a high reliability in any operating conditions. The tripod mount is equipped with traversing and elevation mechanisms. The front and the rear legs are adjustable which allows the firing height to be varied and makes the automatic grenade launcher easy to fire from a prone, a sealing, or a kneeling position regardless of ground variations at the firing position. The AGS-30 can conduct both flat and curved fire. It is fitted with an optical sight, ensuring accurate direct and indirect fire. Irons sights, comprising an adjustable foresight and a rear sight, can also be used as an auxiliary means. The automatic grenade launcher is operated and carried by a two-man strong combat crew, comprising a gunner and an ammunition carrier. In the combat position the AGS-30 can be earned by one man without being knocked down.